Join a growing list of employers that have opened onsite health clinics in an effort to control the rising costs of their health benefit programs. 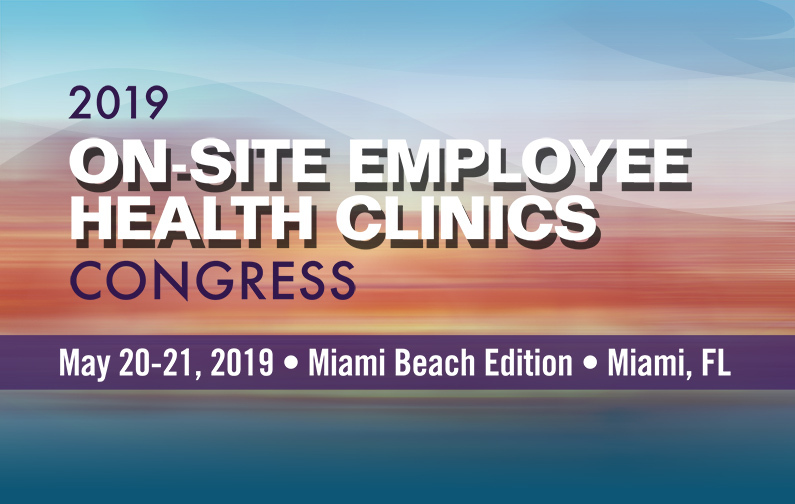 Human resources, benefits and wellness leaders will discuss onsite clinics as a successful strategy in controlling health care costs, enabling easy access to medical services, improving employee health, enhancing engagement in worksite programs—and ultimately increasing employee productivity. You will also learn the benefits associated with expanding current onsite health clinics, and practical solutions to operate a cost-effective healthcare program while providing quality healthcare. Move beyond primary care, explore high-performance care models, efficiently engage employees to improve clinic utilization, and ensure employee health clinics align with health and wellness goals. Not only can a focus on workplace wellbeing drive successful business strategy, it can also help organizations stand out in the competition to recruit and retain top talent. There are several steps business leaders can take to enhance workplace wellness. Business leadership needs to recognize that employee health is critical to achieving business objectives. Workplaces wellness leads to active, engaged employees and also strengthens productivity. This keynote will present steps to create workplace environments that cultivate wellness to better position themselves for success moving forward. Onsite clinics are all unique, reflecting the geography, demographics, culture and clinical needs of the employer and its workers, as well as the medical resources available in the local community. Each clinic should be customized to meet the needs of a specific organization and employer benefit strategies. These must be reflective of the objectives of the sponsoring employer and the medical needs of the population (i.e., improving health and productivity of employees, meeting OSHA medical surveillance requirements, reducing medical expenses, offering convenient access to providers). This session will address how to set the foundation to build a successful onsite health clinic that is right for your organization. Since August 2012 Elkhart Community Schools has provided an on-site clinic to district employees on its health insurance plan. This presentation will focus on the district’s path to a health and wellness center and the impact the clinic, along with the district’s overall benefit strategy has had on the self-insured health insurance plan maintained by the school district. W. Douglas Thorne, District Counsel and Chief of Staff for Elkhart Community Schools will share information regarding the strategies employed by the district prior to the opening of its health and wellness center; the process and logic employed by the district’s insurance committee in the selection of a clinic operator; the selection of staff for the clinic; and the impact the on-site clinic has had on premiums paid by the district and its employees. This session will help you understand how technology’s role in wellbeing has become increasingly sophisticated. Learn how you can integrate technology into your onsite health clinic and wellness program to create a better informed and engaged experience and boost employee involvement. There are different onsite-health clinic models employers can choose to build, design and manage their clinic: employer-managed, vendor-managed, provider-managed, or a combination of these models. An employer can operate the clinic itself, hiring the staff as its own employees. However, most employers don’t want to take on the compliance, staffing and management tasks so instead they choose to outsource these services. The vast majority of clinics are contracted out to a third-party vendor. In addition, employee onsite health clinics are now run by hospitals or physician groups, who use or hire their own clinic and administrative staffs or utilize existing provider facilities to serve the employee population. Finally, an increasing number of employers are participating in shared, multi-employer clinics, located either on one employer’s location or centrally located. These may be owned by the employers or the employers could contract with a provider or outside vendor who specializes in this type of center. The vendor will build, staff and manage the facility either at the request of a group of employers or will solicit employers in a specified geographic area. This session will help you determine which onsite health clinic model is right for your organization, as well as how to remain engaged regardless of which model you choose, provider selection, center oversight, strategy and policy direction. In an effort to create happier, healthier workers while reducing the skyrocketing costs of chronic disease management and health insurance premiums, employers are increasingly recognizing the critical role they can play in bringing wellness into the daily routines of their employees. Onsite health clinics are more likely to attract patients with higher risk profiles for chronic diseases, which may contribute to a higher return on investment by reducing costs related to urgent care or emergency department use. Employers can also foster greater care coordination and the use of less expensive, in-network specialty physicians by using their onsite health centers to ensure that patients are being referred to providers and partners within their preferred circle. This session will address how implementing an onsite health clinic can improve population health outcomes and provide a happier and healthier workplace culture. Besides saving employers money in healthcare costs, onsite clinics provide employees a convenient and affordable way to receive preventative care as well as minor acute care. But even if the benefits seem straightforward, many onsite clinics languish without much volume. In order to get employees actually visiting your onsite clinic, you need to build some excitement. This session will discuss creative ways to boost engagement, including targeted communications strategies to drive action, personalized messaging, and how to build a champion network to help drive engagement. Offering on-site resources for employees have become an invaluable asset in the battle for top talent. In order to promote wellness and reduce occupational incidents, companies need a competitive edge in retaining their employees. By providing customized services to employees on-site, employees will feel the supportive work/life balance environment at your company. This session will provide ideas on how to implement customized on-site wellness programs and how to partner with existing resources to help your employees feel their best at work. Find out how having a nutritionist on-site and the use of Active Release Therapy (A.R.T.) sessions have benefited our employees and company. Staffing practices vary from one onsite clinic to another. In many onsite clinics, a physician may be present during all hours or part-time, alongside supporting nurses and staff. Some onsite clinics provide various pharmacy, specialty or ancillary clinical services such as chiropractic, massage, occupational therapy, physical therapy, dentistry, optometry, etc., depending on employee request or employer onsite clinic strategy. Some feature specialty providers such as nutritionists. Many also include fitness centers. This session will address various onsite clinic staffing models and strategies and help you determine which model is best for your organization. The scope of services offered at onsite health clinics varies, with most offering at least urgent care but many providing broader services. Many clinics are often referred to as “health and wellness centers,” due to the wide range of primary, specialty, first aid, occupational health, acute, condition management, wellness and ancillary services offered. This session will help guide you in determining what services to offer at your onsite health clinic. It is challenging to improve your employees’ health and wellness while controlling health care costs and maintaining a productive workplace. Onsite clinics that offer a wide variety of disease management programs, health services and wellness programs can help improve the health of an organization’s employee population and minimize healthcare costs. This session will address how onsite health clinics can help employers rein in their healthcare spending, while at the same time optimizing employee health outcomes. Leaders of Willis Towers Watson’s employer sponsored health center consulting team will share insights from their practice experience working with over 150 major employers and plan sponsors over the last several years. Louis Dickey, MD and Kara Speer, MPH, will present findings from Willis Towers Watson’s recent survey on onsite and near-site health centers and leveraging work with clients in vendor procurement and audits in order to educate and discuss emerging trends in the space from the client and consultant perspective. They will provide an overview of common goals and objectives for employers and plan sponsors seeking to implement health centers, as well as key considerations for those first considering implementing an onsite or near-site health center, as well as for those that have had health centers in place but are looking to expand or enhance the current offering. Enterprise Health is the only certified occupational health record, combining occupational health and compliance and employee engagement with an ONC-ACB certified EHR — delivering a complete occupational health and wellness IT experience on a single, highly-interoperable, cloud-based platform. Enterprise Health has a proven track record with blue chip clients ranging from Fortune 500 companies to federal and state government agencies — including Federal Occupational Health, a division of the United States Department of Health and Human Services that provides occupational health services to more than 360 federal agencies — equipping enterprise clients and their employees for a healthier future. The AngioScreen® stroke and heart attack prevention program is a unique, comprehensive hospital based early detection outreach program that communicates to employees in a way never before accomplished. AngioScreen® is an easy-to-take, non-invasive screening lasting less than 10 minutes which provides the participant with immediate information about their circulation, risk of heart disease, stroke and abdominal aorta aneurysm. Key tests include an Ultrasound of the left and right carotid arteries and Peak Systolic Velocity (PSV) calculation; an Ankle Brachial Index (ABI) which reads blood pressures in both legs; and a simple EKG which tests for atrial fibrillation and an Abdominal Aorta Aneurysm (AAA) scan. Screening participants receive an immediate one-page color printout result sheet, along with a digital record, including their carotid ultrasound images and vital measurements. The screening is mobile and an important worksite wellness initiative that can be brought into the workplace. FREE for Conference Attendees. 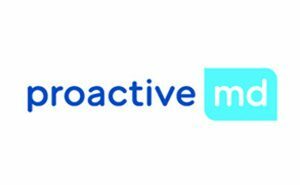 Proactive MD partners with employers to provide employer-sponsored, onsite Health & Wellness Centers staffed with board certified MDs or DOs and a dedicated Patient Advocate. The Proactive MD model puts the physician-patient relationship back where it’s meant to be: At the heart of medicine. Giving physicians more time to get to know their patients, and supporting patients as they become better consumers of health, creates a profoundly meaningful relationship with the entire care team. We call it Care Without CompromiseTM. For employers, the Proactive MD model reduces the high cost of healthcare and allows them to invest in the wellbeing of their team more efficiently and effectively. Virtuox, Inc is a privately held medical technology services company that provides diagnostic tools and services that enable a variety of healthcare organizations and professionals diagnose and treat respiratory through vertically integrated platforms, products and services. Those products and services include a national presence for home sleep testing, oximetry testing, Virtusom Insomnia Testing (Home EEG) and Virtuox CardioCHECK (Mobile cardiac telemetry testing services). Virtuox platform includes a Medicare approved independent Diagnostic Testing Facility (IDTF) that assists in the diagnosis and qualification of treatment options for Sleep Disorder Breathing and Respiratory Diseases at Home. Virtuox’s mission includes application of the highest standards of patient care and fostering a work environment that consistently promotes fairness, collaboration, cooperation and innovation. 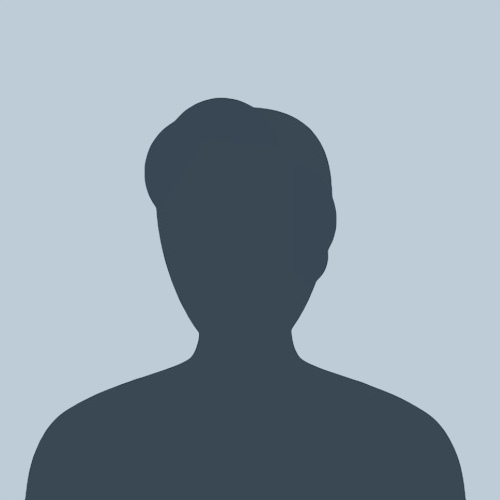 For a complete and comprehensive overview of our products, services and platform please visit us at "www.virtuox.net". 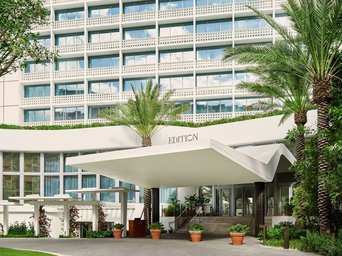 Our Onsite Vision Clinic is a one-stop facility for all your vision care and fashion needs. Our state of the art eye exam and pre-test equipment can detect symptoms of conditions like Diabetes, High Cholesterol and Hypertension. Our unique model allows us to implement a vision center in a relatively small space with minimal investment from clients. We feel the convenience, employee wellness, cost savings, and increased productivity will provide a great ROI and complement your current wellness programs. Positive Recovery Solutions (PRS) recognizes that Alcohol and Opiate Dependence is a complex condition that requires comprehensive treatment solutions. PRS provides the Medical Management of Vivitrol and works closely with entities that provide the Behavioral Health Services needed as part of a comprehensive treatment plan. Patients who participate in comprehensive treatment and who do so consistently are more likely to experience sustained recovery. The PRS team is focused on meeting patient and community needs, including coordination of Vivitrol Medical Services for those participating in agreements with their employers to keep gainful employment. With over 25 years in the industry, you can rely on ASM to deliver proven solutions that are simple, efficient, cost-effective, transparent and manageable. 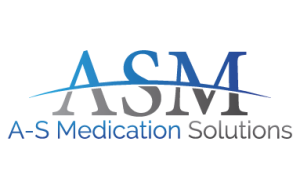 ASM has designed, implemented and currently supports thousands of on-site and near-site clinics nationally, providing scalable solutions to sites ranging from 200 to over 30,000 lives.